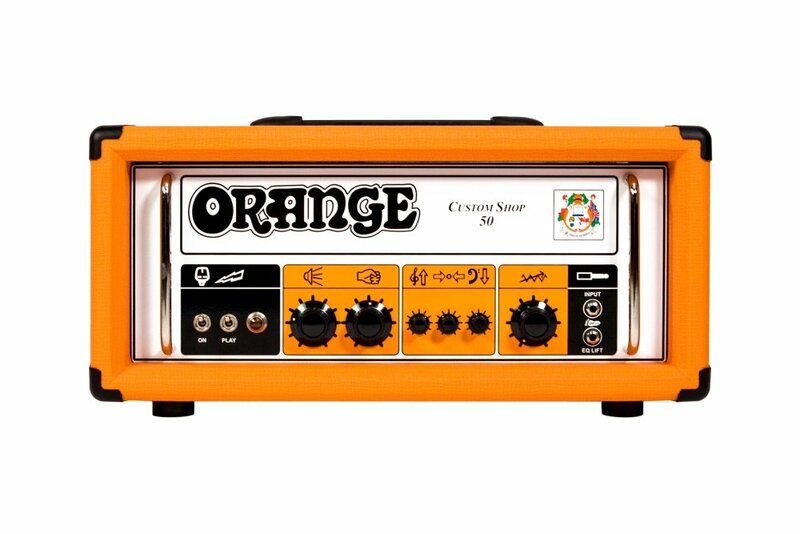 Orange has always made some of the best amplifiers on the market. No other amp sounds like them and most definitely, no other looks like them. They are, and always have been, I even hate to use the word, but they are... Cool. I've been using them personally since the 1980s and currently own two, both of which I love with a passion, they just sound and look fantastic. The Micro Crush Mini Combo is a perfect choice if you looking for your first amplifier or if you're after a great sound but are on a tight budget. 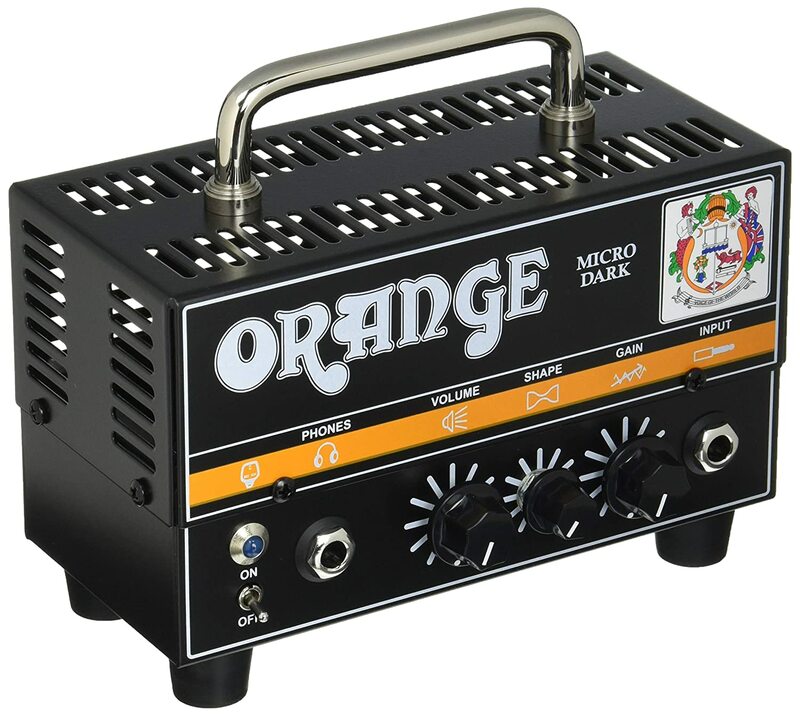 It must have been very difficult for Orange to squeeze their classic amp tones into this mini amp, but somehow they have managed to do it. And not only does it look as cool as its bigger brothers, but it also sounds great for the price. And while on the subject of its bigger brothers, the Micro Crush offers the same classic styling, with its Basket Weave front grille and signature Orange picture frame edging. An authentic Orange tone from an incredibly compact size. Battery powered so you can take it anywhere. Understandably at 3 watts, it's not the loudest of amps, so if you need volume best to look at the other options. An AC adapter is not included so you'll need to buy one separately or run it on batteries. 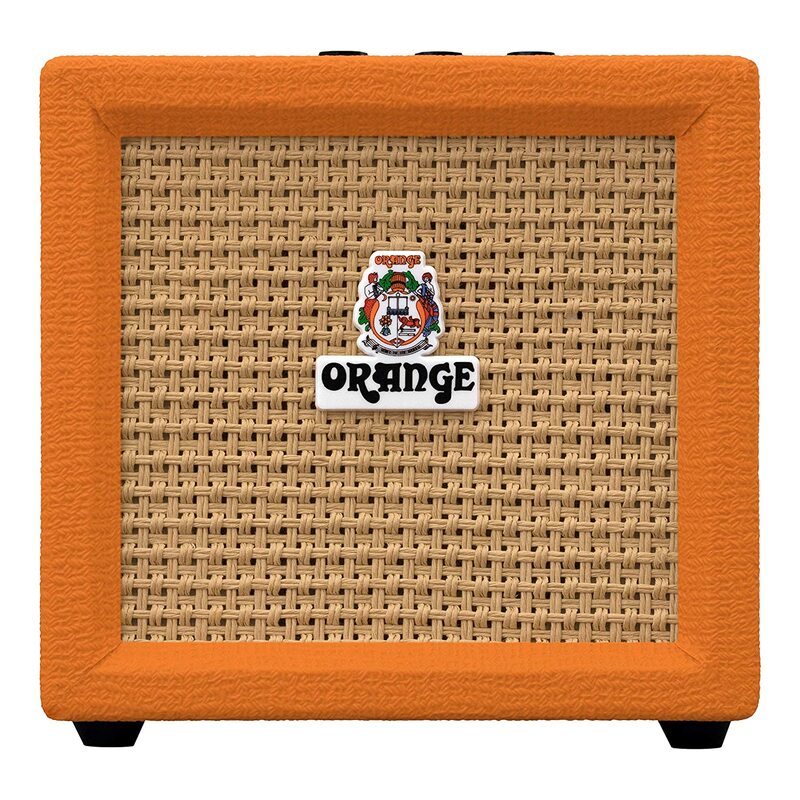 If your dreaming of playing in stadiums but are currently still firmly locked up in your bedroom, then the Orange Crush 12 is the perfect amp for you. And unlike so many of its competitors in the price range, the Crush 12 is not a modelling amp. What you get is 12 watts of 100% pure analogue signal path, for that classic Orange tone, far better than any modelling in my opinion. It also comes with new CabSim technology which stands for 'cabinet simulation'. This allows you to plug the line out from the amp into your headphone, or directly into a multi-track or digital interface. And produces a sound similar to that of putting a microphone in front of a 4x12 cab, which is great fun to play with. Great sound for the affordable price. 100% pure analogue signal path. Headphone output with CabSim technology. Single Channel, but not really that much of an issue if you are only using it for practising. If you're thinking about playing live in the near future, a Crush 20 or Crush 35 would be better options. The Micro Dark Head is the new version of the popular Orange Micro Terror Head, sharing its intuitive Shape control. It sounds great, with a wonderful crunch from the 12AX7 valve used in the hi-gain preamp. It will happily satisfy those obsessed with distortion, but it's most certainly not just meant for metalheads. Its range of tones is rich, classy and diverse, from stunningly clean to down and dirty, it will work beautifully with most musical styles regardless of how long your hair is. It's 20 watts make it very versatile, perfect for a practice or in the studio, paired with a PPC108 cab. Or for an even bigger sound, simply pair it with a 4x12 cab. And best of all it's superb value, very few amps will give you these tones for the price. The sound and the amazing value for money. Transparent fully buffered effects loop. Its ridiculously small size doesn't look as manly as bigger amps. Single channel - so you have to use it dirty all the time or clean with a pedal which is a waste of that glorious dirty sound. 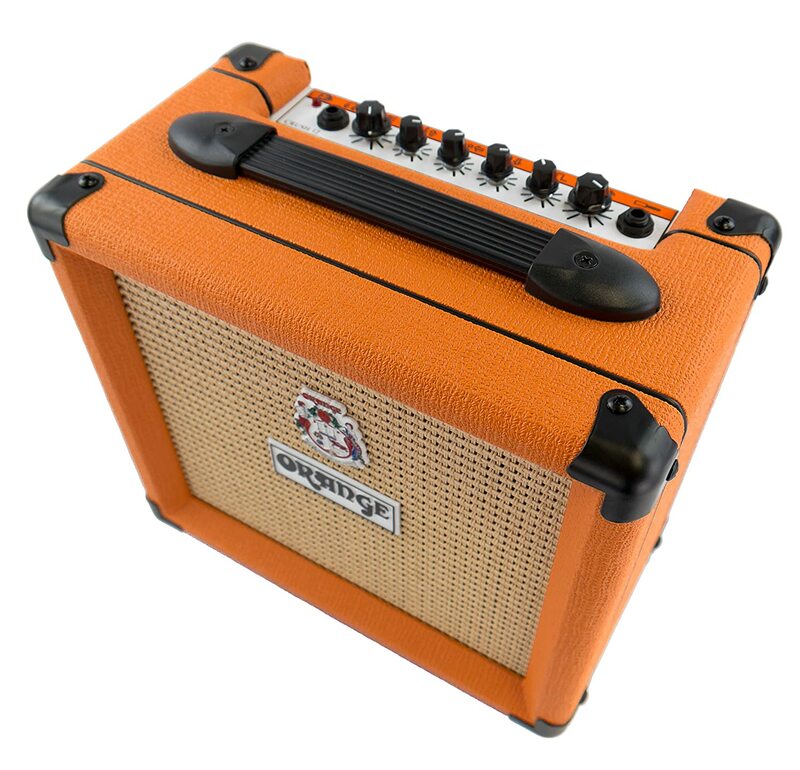 The new Orange Rockerverb 50 MKIII is a Twin Channel, 50 Watts Class A/B Head, and carries on the tradition of the popular Rockerverb. It offers all the flexibility, great tones, and power, that live and studio performers need. This all-valve guitar amp gives users numerous tonal choices, from supremely bright and 'chimey' cleans, to classic British crunch, to the filthiest of filth, all whilst maintaining an outstanding amount of clarity. The valve-driven spring reverb also now has a much more extensive range than it did previously. This being just one, of the many refinements that Orange has made in the latest Rockerverb. Bringing guitarists a superb sounding, high-end amplifier with more features than any amplifier that Orange produce. Great sounding amp with superb versatility. Switchable Output Power - 50 Watts Full Power / 25 Watts Half Power. None apart from possibly the high price but you most certainly get what you pay for. The CS50 is the cream of the crop in terms of Orange, a hand-wired, no-nonsense premium head, made to the highest standards for the most discerning of guitarists. It has no bells or whistles, only one channel, only four valves, and only 50 watts of power. So you may be thinking that in terms of functions and features, its a bit simplistic, but the combination of the gain, interactive tone section and the HF Drive controls can actually produce a myriad of incredible sounds. It has no reverb and no effects loop. But if you do want anything that the Custom Shop 50 doesn't have, check out the Rockerverb 50 MKIII. The point is that the CS50 was designed to not have any of these things, it is simply an incredible generator of stunning tones. If you want the best tones that any Orange produces then there really is only one choice - the CS50. Good value for money for an all hand-wired amp. Single Channel, but what a channel! One factor that has a huge impact on not only the price and sound of your amplifier but also its weight, is the size and number of the speakers it has. Amplifiers sound radically different through different speaker combinations, so which one is best for you? There are basically five common options for speakers, either in a combo or in a stand-alone cabinet, and they are - a 1x10, 1x12, a 2x12, a 4x10, and a 4x12. The first number indicates the number of speakers the second the width of the speaker in inches. If you want to get the crunchy sound that Orange amps are famous for, you’ll need to set your gain control to the higher end of its range. But this can cause problems if your practising at home. The more powerful your amp and the more speakers it has, the harder it will be to get it to sound good at lower volumes. You might, therefore, be better off investing in a smaller amp, with less power and smaller speakers. Enabling you to push the gain harder, and get better tones during practice sessions. Then as you start to play bigger venues you can upgrade to bigger amplifiers, which are more suited to larger concerts. Don't just look at what you can afford when buying an amplifier, think about where you will use it and how you will get the most out of it. Owning a 100-watt head and a stacked pair of 4x12's is great and very impressive. But if you're only ever going to play it in the box room of your house, you will get a far better tone out of a 15-watt amp. The original 1960s Orange models were all valve (or tube) powered. This gave them a distinctive, warm sound that so many guitarists still love. But valve amps have their downsides, They don't have the best reputation in terms of reliability, and are expensive to manufacture and to maintain. Solid state amps use diodes and transistors to provide the signal amplification. Thich results in greater reliability than valve amps and much less money spent on maintenance, because there are no tubes to regularly replace. Which type of amplifier is best is very subjective. The early solid state amps sounded terrible, but the technology has improved beyond belief since then, and a lot of the modern solid state amps sound fantastic. But they have a different sound to valve amps, some try and sound like them, but without valves it's impossible. 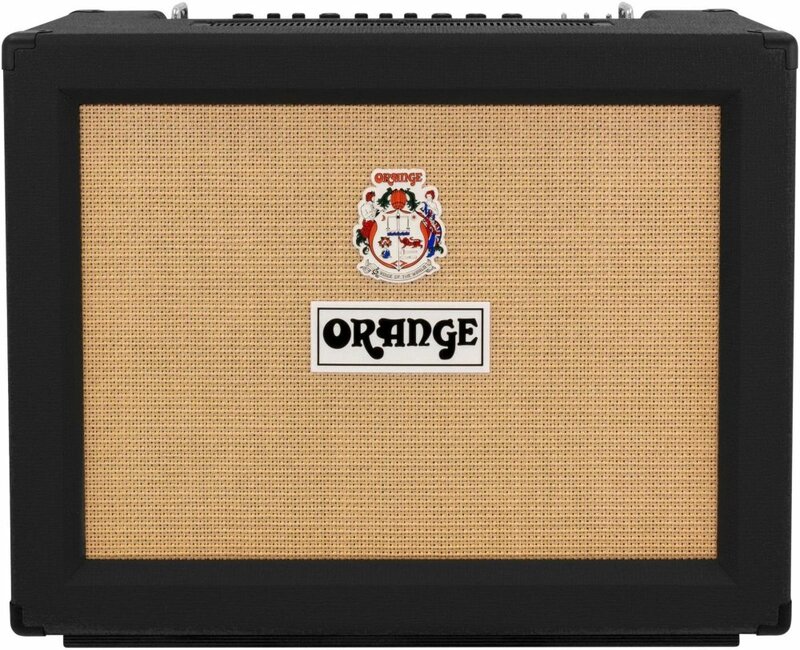 So even though valve amps are less reliable, cost more to buy and much, much more to maintain, manufacturers like Orange still make them. Why? The reason is that although they have all the negatives, one positive outweighs them all, nothing sounds like a valve amp. Whichever of these wonderful amplifiers you choose to buy, I can assure you that you'll be more than happy with your decision. Take note of the pros and cons of each one and find the one that best suits your needs. Just go and buy one, then you can enter a wonderful, magical, sonic world where everything looks and sounds Orange, unless of course you buy a black colored Orange but I'm sure you get my point.